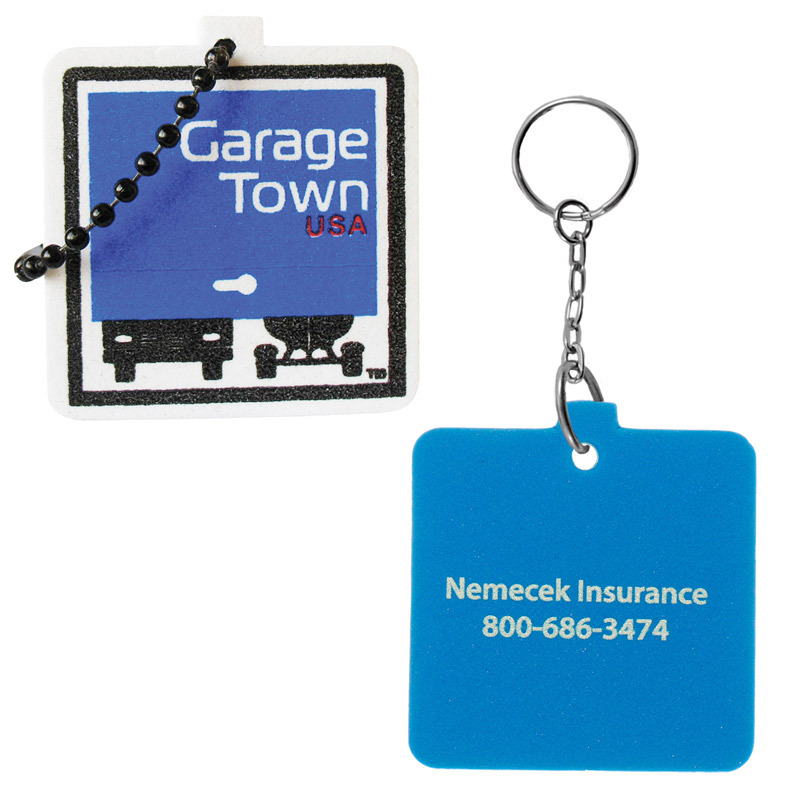 Our standard square-shaped floating foam keychain keeps your customers’ keys afloat and your campaign racing! It’s a great match for auto dealerships and garages as well as hotels, cruise lines, marinas, island resorts, yacht sellers – and anyone else who opens doors who’s likely to go near water. With a full-color print included on one side, it will float and promote with 1 to 2 keys attached depending on the closure option! 2" x 2"…..Imprint Area: 1.5" x 1.5"